We encourage guests to use our dining room as much as they wish during their stay. Breakfast is served in the morning and in the afternoon, homemade cake, tea and coffee is available free of charge. 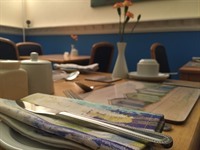 We have many fine restaurants to eat nearby, but if you prefer to bring food back, you are welcome to use our crockery and cutlery to eat in the dining room. Our single room has been fully decorated to a high standard, with the aim of keeping each room fresh and individual. Situated at the front, overlooking the garden. 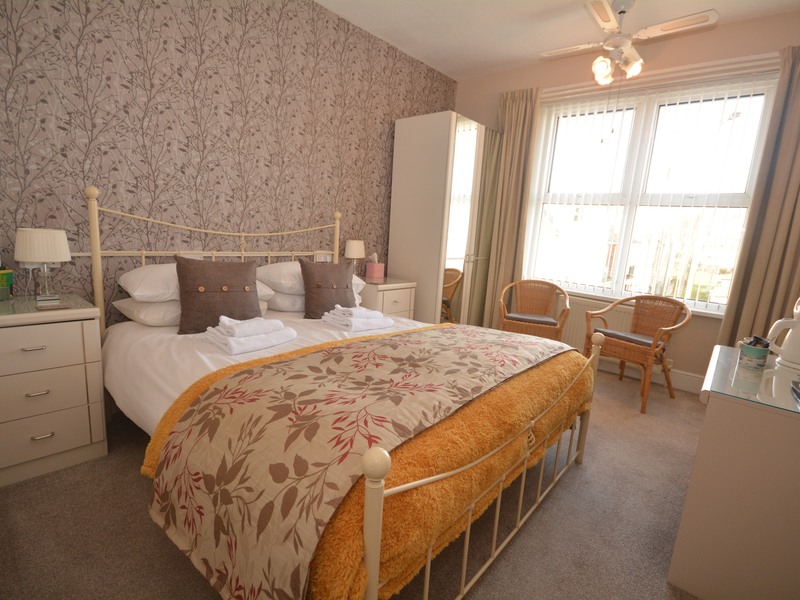 This is a cosy double room with a good sized En-suite shower room. It overlooks the garden and enjoys the morning sun. 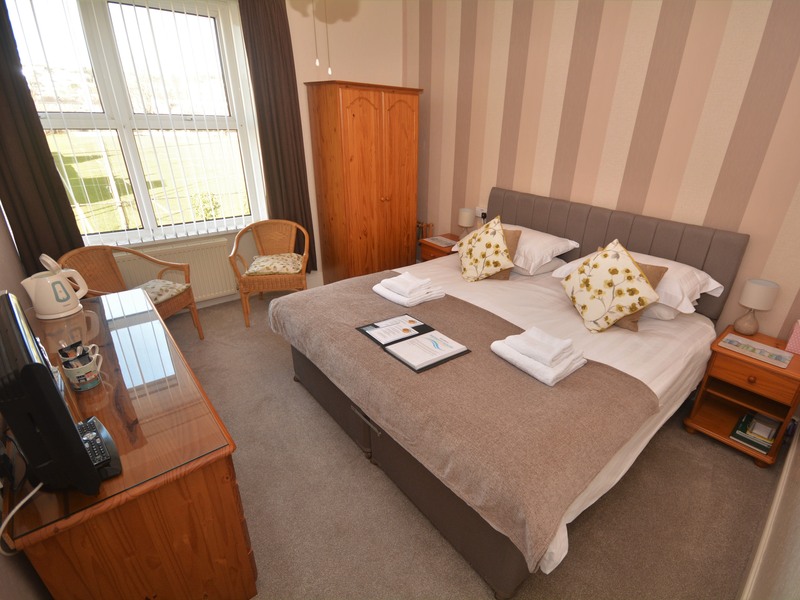 It is ideal for short stays whilst visiting the area - however if you are wanting to stay more than a few nights and require more space we recommend booking one of our larger rooms. Double divan bed with good quality, Orthopaedic mattress, and two hypo-allergenic pillows. We have two double rooms. Room 3 is situated at the rear of Merritt House overlooking Queens Park, which enjoys the evening sun and views over the park to the steam railway. This lovely room has a traditional frame bed. Room 8 has a double divan bed and is situated at the front, overlooking the garden. It has been fully re-decorated and now includes a new ensuite shower room. Good quality orthopaedic mattress, and two hypo-allergenic pillows. 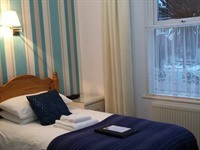 We have two King en-suite rooms which can be booked as either a Twin or as a King. Both are situated at the rear of Merritt House overlooking Queens Park, which enjoys the evening sun and views of the steam railway. Our King Superior room which has been newly decorated, also boasts a brand new en-suite shower room. Situated at the rear of Merritt House overlooking Queens park, it enjoys the evening sun and views of the steam railway.